BetSoft has shown great pride in launching their newest additions to ToGo, their successful mobile gaming platform. 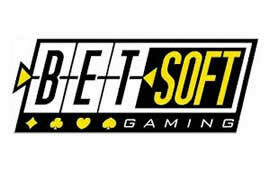 Known for their high quality, inventive, and varied 3D video slot machines, the UK based BetSoft has been hard at work expanding their offerings for gamblers on the go. In its second year of successful operation, ToGo has continually grown in popularity and helped spread the software developer's quality games to the players who don't want to or can't be locked down to a location where they can play. Since these games have been reworked to play at their best, mobile gamers need not worry about losing out on the rich experience that those gaming through the computer get. With highly popular slots games, such as The Slotfather, Three Wishes, and Safari Sam already making names of considerable note for themselves in BetSoft's stable of high quality games, it could be hard to pry players away from their established favourites. Two new games have been reworked and retooled from the desktop versions for the best possible experience while playing on Windows Phone as well as Android and iOS powered tablets and mobile phones. The two newest games announced for BetSoft's are Sushi Bar ToGo and Heist ToGo. Look for them at our recommended casino Tropezia Palace. Sushi Bar ToGo has more of the feel that lighter social slot games have with its easy controls and a straightforward storyline. You, the player, are helping a chef running his popular sushi restaurant and possibly taking home some Jackpots in the process. Heist brings a more complicated plot to the game as well as cinematic animations and cut scenes with a more mature theme of bank robberies, guns, and eluding the police. BetSoft's head of product development, Anthony Locke, said, "We are very proud of our ToGo line and what it represents within the industry." He was also quoted as saying, "our mobile games are second to none because they are built on the solid bedrock of beliefs that have made us great; superior quality in both form and function, unbeatable innovation and a rapid cycle of development to bring this content to the market to continually satisfy the huge demand for new mobile games."